Steps to Building Reading Success With Your Dyslexic Child Through Food. Reading can be a painful process for a dyslexic child. The words and letters jump around, sounds don’t come out right. They guess to fill in the blanks when they don’t know. They say every word that is close to the actual meaning of what they are trying to read. To help avoid frustration take an out of the box approach to teaching your child. The traditional methods of sitting at a table to practice memorization of broken down phonemes may not be for your child. Read the recipe to your child. Speak directly to your child. Speak slowly and clearly, pronouncing each sound very carefully; you want him to notice each word or word part you say. Exaggerate sounds—for example, mmmmango—and have him do the same when he repeats back to you. 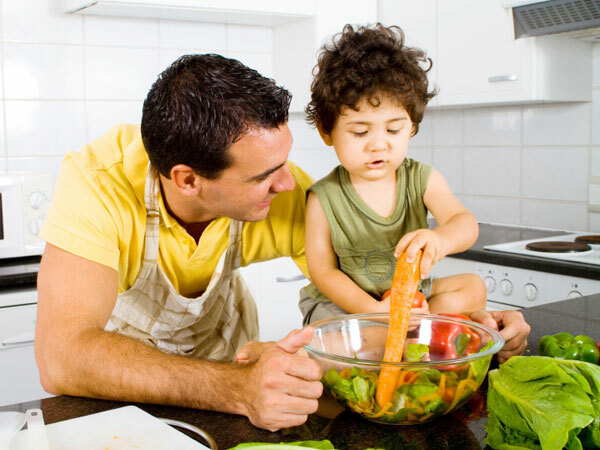 Read recipes to your child daily and cook with them whenever possible. Use concrete objects (Goldfish crackers or grapes) to represent the sounds in words. Your child should indicate how many sounds he hears in a word by the number of Goldfish crackers he places on the table. This practice creates phonemic awareness: The awareness that spoken language consists of a sequence of phonemes. For example, how many sounds in the spoken word, pizza? Say all the sounds you hear. Consonants, qu, th ch and sh.